Mothering multiples is tough. No room to breathe. The Tiny Twins never got as far as having their own names. Forever nine weeks gestation, their curled bodies hover in the corner. Little not-quite-legs tucked underneath contentedly. They don’t suffer. But when the house is still I hear them whisper ‘Why me? Why me?’. I have no answer to why those two, not their siblings. Two out of four. We had to make room, play the odds. The doctor said they were too young to feel, would be absorbed by my body while the other two thrived. I told no-one on the ward that when I came round from the drugs and dissociation, the Twins floated beside me. No judgement, just constant confusion: why, why, why? When living people talked at me: assessed, measured, reassured – all my mouth did was turn upwards. I listened for what the remaining babies said, but they spoke only through movement under my skin. Were they fighting to get out to be with their siblings? Or was this a battle to the death which only one would survive? In the incubators, the Twins’ big sisters Grace and Una had looked so similar. Grace’s lungs weren’t ready. Her furry limbs reached out but I couldn’t get to her through the Perspex and terror. We had cards with flowers and Jesus on before the teddy bears of congratulations had been put away. While I’m entranced by the Twins’ bobbing movements like fish in a tank, Grace throws something heavy above my ear. I drop to my knees, holding my head in my hands. She’s a couple of feet above me, her waking shrieks adding to the pressure in my skull. Without looking, I know her tiny arms are outstretched. Her yearning burns me. She yanks at the cord that connects us to gain my attention. My stomach lurches with the pull. But we both know – however hard I try to reach up – she will always float higher. I climbed up onto the roof one time. Grace remained two feet above me, straining. The paramedics didn’t understand. Through the gloopy fog of sleep deprivation, I pull out the tune but not the words to songs Grace likes. She starts to settle, releases the tension on the cord so I don’t throw up this time. There are three more hours before Rob will be home. How many loops of the lullabies will that take? One hundred? One thousand? Numbers don’t make sense any more. I sing songs about special girls, about babies sleeping, about mummy’s love. I never sing Rock-a-bye Baby. My stomach aches from the pull of the cord. Rob says I should eat more, but it’s cruel to show the children things they can’t join in with. All three sway to the music. Two more hours. They quieten when their father is home, no need to worry him. None of us liked that stay at St Jude’s, where they dosed me with so many medications my little ones were left to fend for themselves, drifting in silence. I lean against the wall and hum. Muffled sounds from a television travel from the room below me . Una is probably getting herself something to eat while watching cartoons. Such a good girl, no trouble at all. The dog pound was less fun than I’d imagined. Sad, angry creatures barked or shook or ignored me, as a serious young woman showed me around, grilling me on my suitability as if these creatures had all the offers in the world, as if it were them doing the choosing. The woman sighed, jangling keys like a jail warden. I took Brutus home the next week. No money for genetic tests, so I borrowed a book from the library and tried to match his features to guess his ingredients. His drooped face loomed larger than mine, shoulders so broad I could have sat on them. Not that I did. Not that I’d ever sat on a father’s shoulders, running around the backyard with a water pistol, shooting flowers into splendour. Brutus drooled constantly. He smelt worse than the massive bags of food that I bought from a market stall and dragged back to my house. If I’d had some wood and hands with talent, I could have made a sled so Brutus could bring home his own nutrition. A month later, I drove to the forest on the edge of town with Brutus on the back seat. If we crashed, he would have crushed me to death. We didn’t crash, and I never looked back at that huge, wet face as I returned to my car without him. Maybe it was me that needed the genetic test? Back in my twenties, I’d tried to connect with my own species. That lecturer with a stammer, so grateful for my touch. He’d send me boxes of organic veg. I’d never learnt to cook, so nibbled at raw edges and watched them wilt like his middle-aged flesh. Next was my neighbour Jess. She was younger than me by twelve days, but understood the ways of the world – taxes, bus connections, consumer rights. She argued with a store manager for a refund when the heel snapped on a Cinderella shoe that I could never wear safely out of the house anyway. Her frowning face, pointed finger, all for my protection made me swoon in my flat slip-ons. But in the end, care can become control. She wanted certainty, a rhythm to life that pounded a beat I couldn’t keep up with. I gave up on humans. They always wanted something in return. I kept busy, moved jobs, moved towns. Every Friday, I’d bring cupcakes to work. My colleagues knew better than to ask what plans I had for the weekend. The deal was done. When an old man down the street died, his family emptied the house of his belongings, taking what they wanted in their shiny cars, abandoning items that were unloved onto the street. A huge oak dresser with chipped wood and a broken shelf dripped rainwater like tears. A few curled notes in a palm got it moved into my place. It nearly filled the room. I emptied out books and piles of papers, just left the dresser and my armchair. The top wood panel had flowers and fruit carved along it. At the base, huge cupboards leaked a resin smell behind broken doors. I crawled in front of the dresser and pressed my face against the damp wood. Then I climbed into the cupboard, curling my body into a foetal position as I pulled the broken door back into place. My muscles softened like baby fat as I hummed a lullaby. Nothing could harm me now. In my secret chamber, the melody echoed back as the sturdy wood above me kept silent watch. 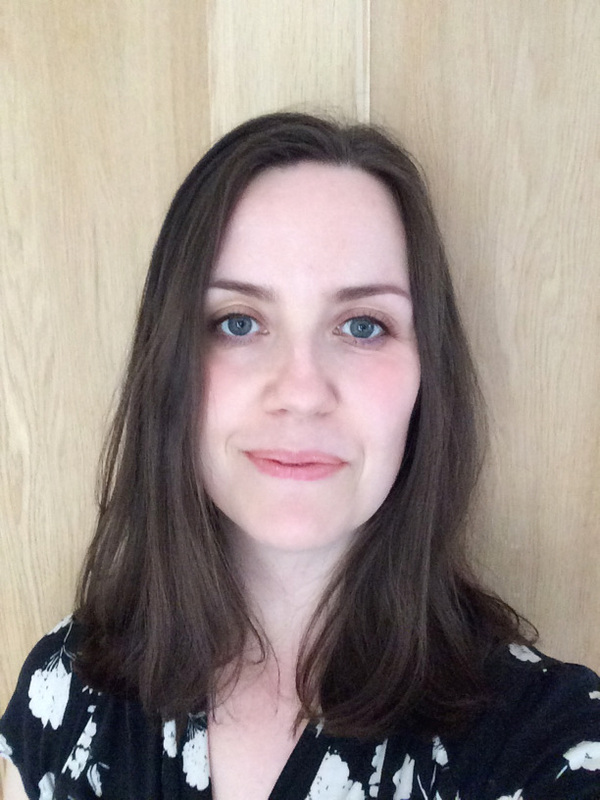 Stephanie Hutton is a writer and clinical psychologist in the UK. Publications include Atticus Review, Connotation Press and Aesthetica Creative Writing Award anthology. She was recently shortlisted in Bath Novella-in-Flash Award and Bristol Short Story Prize. Find her at stephaniehutton.com and @tiredpsych. Her debut novella Three Sisters of Stone will be published by Ellipsis in May 2018.